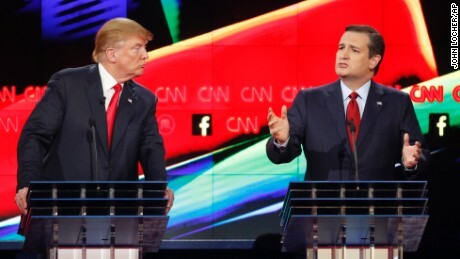 Republican Candidates debated the USA Freedom Act and mass surveillance last night. The issue of contention is whether the bulk collection of Americans’ phone records - without the need of securing individual warrants - makes us safer. Of course, the fact that such collection is not constitutional under the Fourth Amendment is also extremely important, but since the debate focused on pragmatism rather than principle, let’s start there. On this point, the evidence is clear: supporters of bulk collection cannot demonstrate that it has ever stopped a single attack on American soil. They’re asking for permission to spy on us at will, without any proof that doing so will make us safer. Surely such an egregious breach of our civil liberties should require some fact-based justification before being allowed. Sensenbrenner goes on to make another important point that is too often ignored: bulk collection is not only ineffective, but actually counterproductive. When intelligence agencies collect everything indiscriminately, the sheer volume of information is overwhelming. Important leads can be lost in the noise. Finding relevant information on planned attacks becomes as difficult as finding a needle in a haystack. On the other hand, a more targeted approach to surveillance, based on due process and probable cause, allows intelligence agents to focus on the most relevant information. Americans are repeatedly told that we must choose between being free and being safe, that in order to be “tough” we must also be tyrannical. Don’t believe it. Defending America means defending the our way of life, and not throwing away the things that make us great. The Constitution, freedom of expression, privacy, due process, and freedom from fear of a government that can spy on us without cause at any time are among these things. The Republican candidates would do well to learn something about the values of the country they propose to lead. As we conclude this month that marked the sixteenth anniversary of September 11th, we must carry with us the lesson that the attack brought to our collective quest for freedom. Terrorism is a threat we all fear. While we must try to prevent American citizens from being murdered by terrorists, we must also guard against the eroding of our rights. The USA Patriot Act has most affected freedom at home. In memory of the victims of 9/11, we should consider the lessons that the attacks and the fallout taught us about the whimsical nature of freedom.